Cloud-based Cooling By Karl Lycett, Rittal’s Product Manager for Climate Control | Rittal - The System. 2019-04-09. Cooling units are playing an increasingly important role in Industry 4.0. Seamless communication between cooling units and associated cloud-based systems is opening up opportunities for new applications. Essential to these applications are IoT-capable devices such as the cooling units and chillers in the Rittal Blue e+ range. Optimisations carried out during maintenance can help reduce workload and thus lower costs, for example through predictive or needs-based maintenance. Needs-based maintenance, however, always requires information about the individual cooling units and the surrounding conditions. A typical example is replacing a fan before a fault occurs, which otherwise – in the worst-case scenario – could cause not just the cooling unit, but the entire system to fail. If there is historic information available to plant operators about the fan’s running time, the difference between its expected and actual speeds, and its power consumption, then it’s possible to identify a gradually developing fault or an impending failure. This means that vital components can be replaced early on, increasing the overall system’s availability. It’s not surprising, therefore, that seamless communication of information between systems is growing in importance. In a state-of-the-art factory, where data is easily available as and when required, the sight of maintenance technicians walking from one cooling unit to another, jotting down information with a clipboard and pen, is a thing of the past. Rittal equips its climate control solutions with a comprehensive range of communication options. 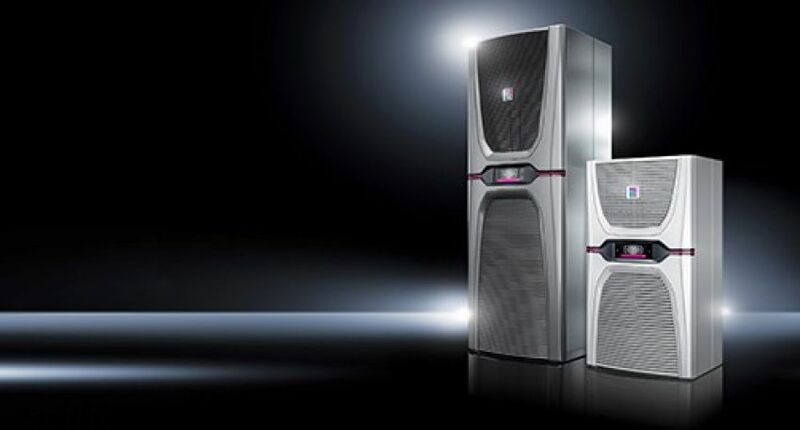 Using the new IoT Interface, Rittal units can communicate directly with superordinate systems and network with customers’ in-house monitoring and energy management systems. As a result, data such as the internal/external temperature of enclosures, and the temperature of condensers and evaporators, can be continuously evaluated. Added to which, the run times of compressors and fans is easily accessible, as is information on capacity utilisation, messages and unit settings. Plant operators can therefore identify potential malfunctions early on, improving the reliability and availability of their systems. Industry 4.0-capable Rittal units were integrated into Siemens MindSphere. This cloud-based, open IoT operating system enables users to develop their own Industry 4.0 applications. Using Siemens MindSphere, the platform is scalable and can capture and analyse huge volumes of data – paving the way for smart-factory applications, for example, in predictive maintenance, energy data management and resource optimisation. As I indicated at the beginning, needs-based maintenance is cheaper than carrying out maintenance work at fixed intervals, and raises system availability. Our solution also calculates the shortest routes between calls for service engineers, which eliminates wasted journeys at facilities with a large number of machines. And live data on each unit means staff can bring the right spare part with them straight away! Again, customer benefits include improved machine availability and optimised maintenance costs. The solution’s new technologies also make new business models - such as smart maintenance contracts - possible. With the introduction of the Blue e+ cooling unit series, Rittal has set new standards for the energy efficiency of electrical enclosures. What we’ve wanted to show in this article is how how the IoT Interface can be used, providing an insight into future Industry 4.0 applications and their potential benefits. All this stems from the seamless transmission of data from sensors inside the cooling units and chillers to the cloud. and www.friedhelm-loh-group.com or on twitter @rittal_ltd.